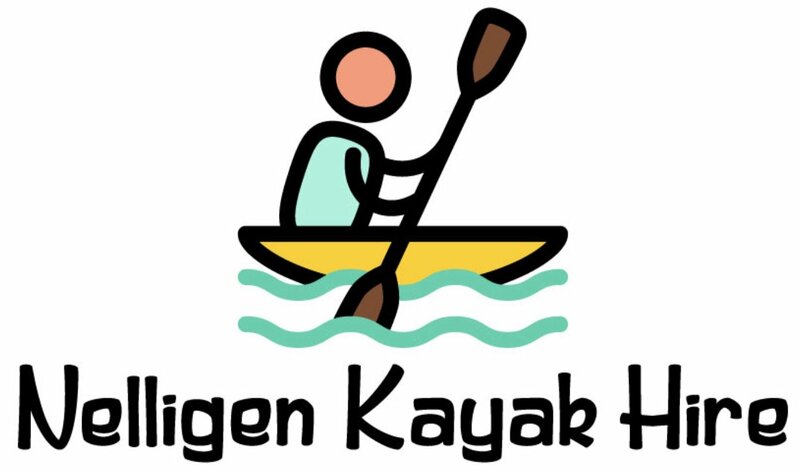 You have the choice of sit on top kayaks or canoes. Both are great fun yet offer different experiences. If you want to keep as dry as possible, we suggest a canoe. The kayaks are self draining so you may get wet feet or a damp backside. Our Australis Kayaks are made on the south coast and are renowned for their durability. The Lynxx model is ideal for the Clyde River. 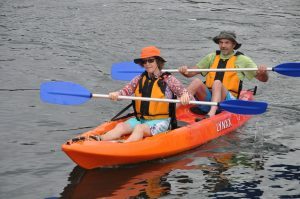 These kayaks can be arranged to suit a solo paddler, two paddlers with the option of having a small child in between. The canoes are simply the best available. 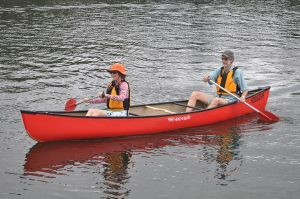 The We-no-nah canoes are manufactured in Minnesota, USA. They are renowned for carrying big loads. Two adults and three small children are quite possible. Apart from keeping you drier, they can also carry a decent load of gear if you want to go river picknicking. It is compulsory for PFD’s to be worn on the water at all times. Your PFD is especially designed for kayak use so this means it not only makes you safe, but also comfortable. These are included in the hire cost of course.